The PSAI Twin Set Diving course is designed to train divers to properly use twin cylinders (doubles) for recreational diving activities. It will discuss the configuration and the peripheral equipment, as well as accessories and maintenance. Introduction to Twin Set Diving. Why Dive a Twin Set?. Buoyancy Devices for Twin Sets. For certain areas of diving, such as diving in an overhead environment, a twin set is almost a necessity rather than an individual choice. In these surroundings the margin for error is reduced because you cannot make a direct ascent to the surface in the event of a gas failure. In this situation a twin set would almost certainly raise the chances of a safe exit. 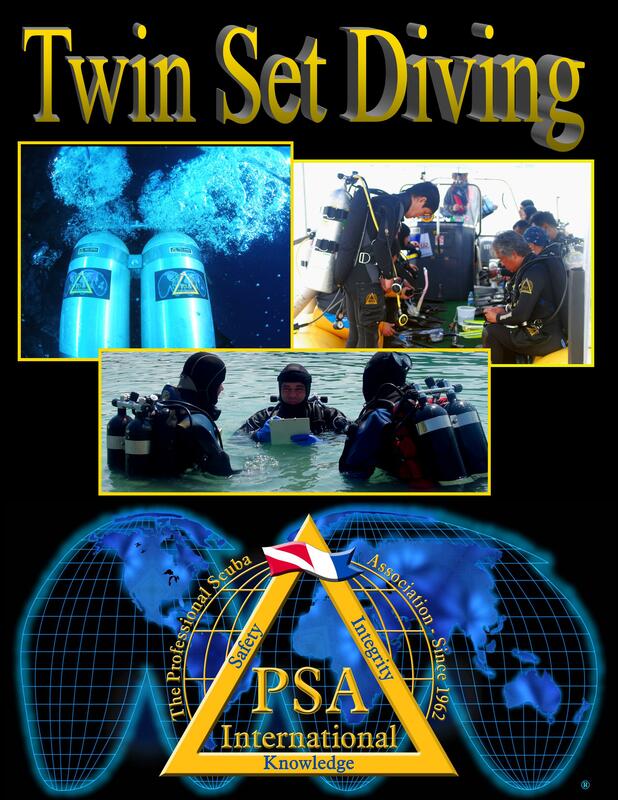 The PSAI Twin Set course will help almost any diver expand their horizons and safety margins in the underwater world.